Acquired at the London Convention 2008. 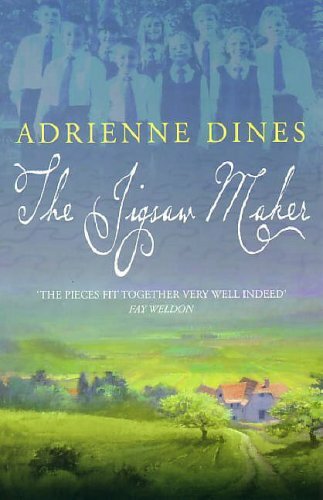 When stranger Jim Nealon walks into Lizzie Flynn's shop and proposes that she help him make his beautiful jigsaws, Lizzie agrees. Then, Jim shows her the photographs he intends to use. Now, the settled picture was that Lizzie's life is in the air, falling in a thousand different pieces. As she scrambles to put her life back together again, Lizzie is startled to realise that it can't be done. Read this a little while back. As I remember, it's an enjoyable, if slightly predictable book. On the book table at the Uncon 23-25 September 2011. If not taken, then will be set free somewhere around Nottingham on Sunday's release walk. And if you do choose to join, please consider using me, rahar109, as your referring member. I have wanted to read this book since discovering Linda Gillard and the Transita books a few years ago. Thank you for this chance. It was good to meet you on Saturday; it is lovely to put a face to a name! Left on the shelf for far too long! I loved it; perceptive and warm hearted as it was. Wanted for a special project. Added to Plum-crazy's Christmas All Year Round Wrap-It-Up Bookbox. I picked this from greenbadger's Alphabet VBB Round 16.